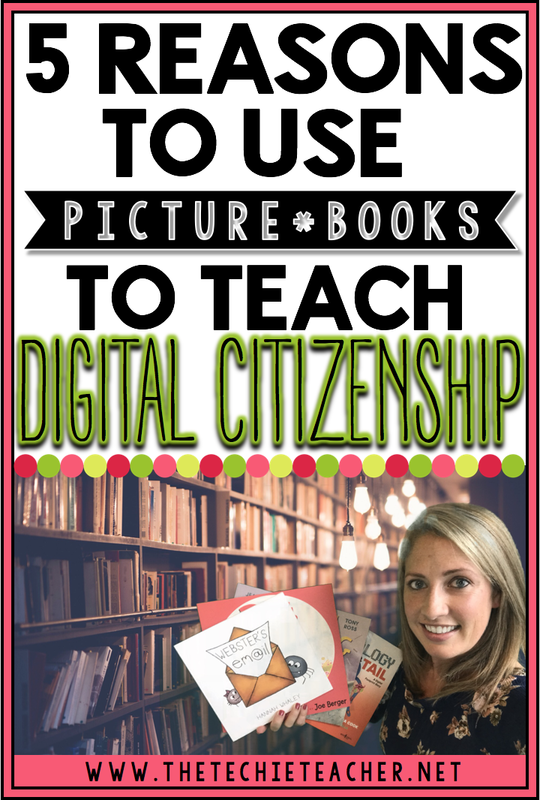 5 Reasons to Use Picture Books to Teach Digital Citizenship | The Techie Teacher® . 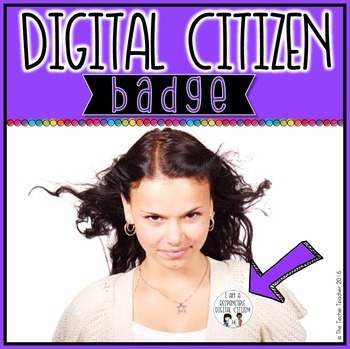 Digital Citizenship topics need to be addressed and discussed consistently in today's classrooms. Yes, it is one more thing teachers have to work into their lessons but it is an important one as our world becomes more and more digitally connected. Common Sense Media provides an excellent scope & sequence and activities to help classrooms address digital citizenship. I highly recommend looking into their resources if your school doesn't have a curriculum in place. We teachers looooove to kill two birds with one stone since there is never enough time in the day to cover everything we need to cover. 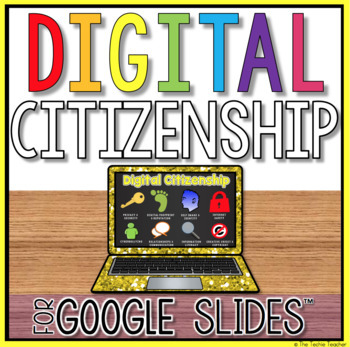 Work these digital citizenship pictures books into your reading and language arts lessons. They can be used as writing mentor texts as well as teaching reading strategies like main idea and details, cause and effect, sequencing, making inferences and more. Students like to read books that they can relate to and many of these picture books contain relatable content. For instance, the characters are overly involved in video games, engaging in cyberbullying on social media, texting personal information to strangers, etc. Listening to and reading stories that present difficult safety issues and how the characters overcome those obstacles can provide important lessons for our students. Since these picture books contain relatable content for our students, this prompts wonderful discussion topics in which students can share their own experiences, work together to problem solve and simply bring awareness to issues they may face in the future and what to do when something arises. Great for morning meetings! These stories present many different reading response opportunities that students can acknowledge through writing. This will allow for students to think deeper about digital citizenship topics and devise a plan of attack for when they do experience an uncomfortable situation when they are online. Without a doubt our children at some point will run across an inappropriate picture, witness cyberbullying, end up on a nonsecure website and the list goes on. What will be their next steps? 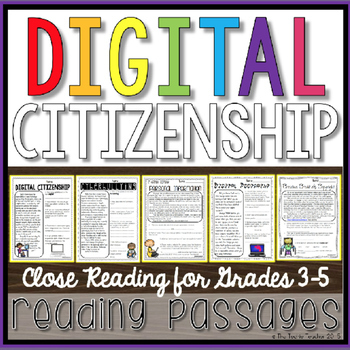 Reading digital citizenship themed books together as a class will provide references that you can refer to throughout the year. This will help the class make text to text, text to self and text to world connections. Also, if a student is not a good digital citizen at some point throughout the year you can possibly refer back to a character who went through a similar situation and talk about the consequences they faced and what they did to resolve the issue. Double check with your school library as well as your community library to see if they have these books you can check out. If not, they would make a great addition to your classroom library!